All aboard! Anchors, ships at sail, ocean breezes, seagulls, and maybe a pirate or two, conjure up wonderful maritime adventures. 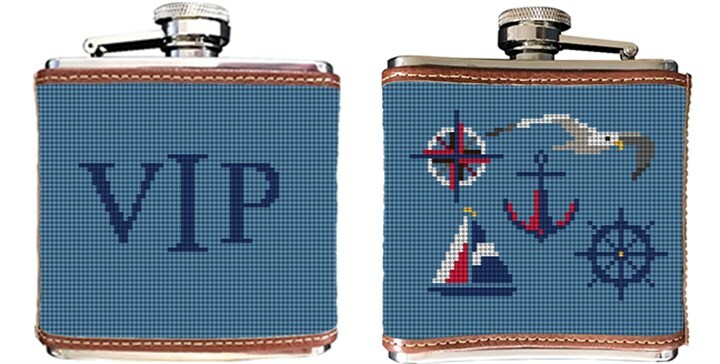 If you know someone who prefers to explore to ocean, more than dry land, then you will enjoy setting your anchor and stitching our Nautical needlepoint flask canvas. When planning your canvas let us know which monogram you would like to use.